Does the number of trash cans in the neighborhood affect litter in the neighborhood? Simple question, right? But as Nic Esposito (director of the City of Philadelphia’s collaborative Zero Waste and Litter Cabinet) explained at the November 2018 Litter Convening, the question isn’t as easy as it might seem. In other words, before we put out more (or fewer) trashcans in an attempt to control litter and its associated burdens, we have to figure out if upping (or reducing) the number of trash cans actually does decrease litter. The study ran from August 2017 through May 2018, and the results were recently released. It’s an interesting window on how answering a seemingly simple question about urban life is actually a major, long-term project. That’s partly because there’s still debate about how increasing or decreasing the number of public trash cans actually affects the hard data on litter. A New York City experiment in 2011 removed some trash receptacles from selected public transit stations, and noted a subsequent counter-intuitive drop in litter (though these figures were later disputed). That conversation is still going on in Philly, and the Litter Cabinet decided to convene for a possible answer for our city. Philly’s study was admittedly limited: it focused on four parks (two in Brewerytown and two in Port Richmond) and four Brewerytown commercial corridors (and several factors contributed to incomplete data from some of the sites). To gain this data, what conditions do we need to assess? We have to get a baseline measure of how much litter exists in a given area without any interventions. Then, we need to decrease the number of trash cans from the normal number, and see what happens. And we also need to increase the number of trash cans from the normal number, and see what happens. And all along the way, we need to measure litter in a couple different ways: how much trash is actually collected as litter, how much time staffers spent picking up litter, and how the different trashcan numbers affected the city’s new hyper-localized Litter Index. “The results showed that the effect of differing the number of receptacles on trash was varied and inconclusive,” the study reports. The data on how much litter was observed in the targeted areas, and how the Litter Index was affected, were “mixed.” However, “the results did show that when trash receptacles decreased, trash collected as litter increased and staff time spent on collecting litter also increased,” the study notes. In short, fewer trash cans meant more litter, and more time spent cleaning up litter. 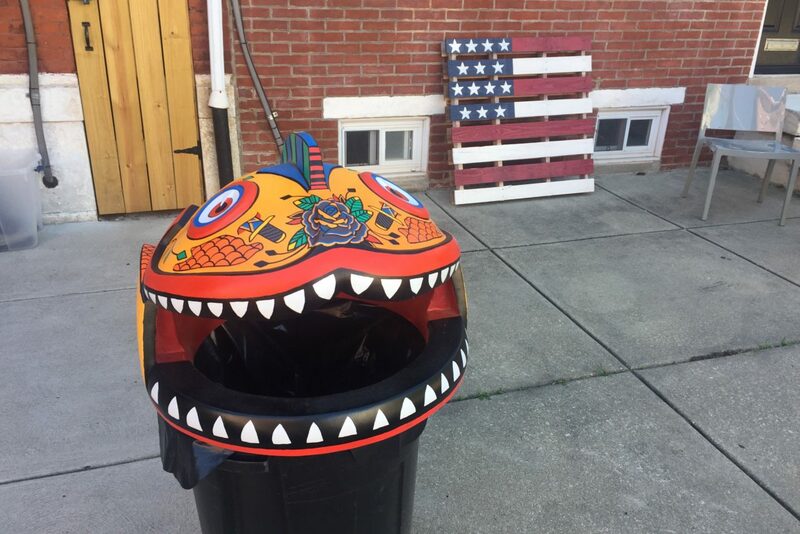 The Zero Waste and Litter Cabinet will use this outcome to promote increasing the number of publicly accessible trash cans in high-traffic areas like commercial corridors and parks. And the experiment results will also be used to encourage more businesses to “adopt-a-receptacle” outside their premises. The Convening also addressed a new Commercial Waste Report, due out shortly, and efforts to increase businesses’ compliance with initiatives to reduce or divert the amount of trash in the waste stream. That means not only minimizing landfill waste and maximizing traditional recyclables: it could also be sustainable disposal or reuse of food material, for example. There are plans afoot to require city businesses to complete an annual waste report, with incentives like publicly displayed green credentials, sustainable business tax credits, or hauling service discounts for successful businesses. But Convening attendees also discussed challenges to the plan, like a lack of reports and instructions in the variety of languages needed for Philly’s diverse business owners, and a digital divide for some small business owners who many not even have an e-mail address, let alone access to an online portal for waste reports. Are there ways to streamline the annual reporting process so it’s not burdensome to participants—could it be integrated with other required annual paperwork, like taxes? How do large residential complexes fit into these reports, as entities that are not strictly businesses, but not private homes either? Many aspects of commercial waste reporting are still in progress. Illegal dumping was also a hot topic at the Convening. Philly has a major problem not only with what’s called “short dumping” (i.e., trash left out long before the designated pickup day, or household trash piled next to city receptacles), but with all kinds of businesses and individuals illegally unloading everything from construction debris to piles of defunct tires, and dashing. The city is cracking down on this issue, Esposito said, and the biggest news on that front is that Philly now has a dedicated “environmental crimes” detective with “investigative powers” to pursue individuals or businesses guilty of this misconduct, and bring them before a judge for sentencing, fines, or diversion into community service hours. This detective has been on the job since August, Esposito said, and as of September, had already achieved several warrants and arrests. And other deterrents for major illegal dumping, like vehicle seizure or suspension of a business license, or a media spotlight after a requisite 30-day appeal period for the defendant, are also in the works. Everyday citizens can help, too. The Litter Cabinet has a new at-a-glance guide, so if you see illegal dumping, you know what to do, whether you’re catching someone in the act (call 911), or noticing a dumping site after the fact (call 311). Never approach an offender yourself, but be ready to provide photos (or video where possible), and a clear description of the trash, the offender(s) and vehicle (where applicable), and location. It’s all part of an effort “to make the city see this is what’s happening in some neighborhoods,” Esposito said, and raise awareness about illegal dumping generally, for a cleaner city for everyone.